No disc problems in all types of DVD is a common phenomenon, before a DVD start reading the disc, there are several test it does just like the booting of the computer (CPu) called start up process. If by any chance any of the stage is not working the DVD will display an error on the screen, most of the time it is disc error, no disc etc. Among the components which are most suspected is the LENS, but from my experience this is one of the most stable components with a relatively very low failure rate. 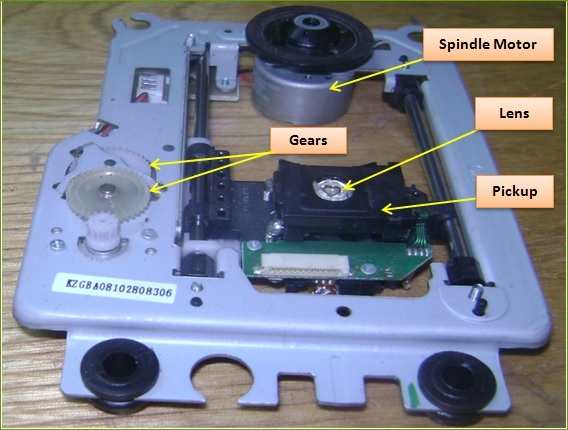 Top suspect is the Spindle motor (the motor that spins the disc); over 75% no disc error is caused by this small motor where the disc sits on. How to measure spindle motor with a DMM, set your meter to low resistance test (200 ohm) range, if it is okay should read between 5 and 20 ohms. On analogue meter, this is my favorite set the meter to X1 and measure across the two wires coming from the motor(red and black) if the motor is okay, it will spins at very high speed indicating to you that it is up to the task. A word of advice- I have found several of these motors which are not working right from the shop and therefore I advise you to ask the store keeper to give you the meter and test on the counter before taking it home only to realize that it’s not working. This is also true with other components make it a routine to test components before replacing them in circuit. As usual my first suspect- Spindle motor. Measuring this motor, YES it was dead short. I replaced with a new one, alas still no change...Still no disc symptoms. 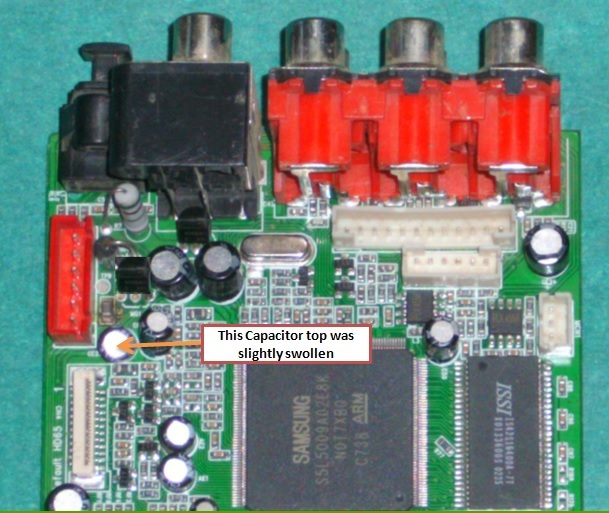 Looking at the logic circuit (motherboard) I noticed a swollen cap on +5 volt line. A good hint what might be pulling the spindle motor power supply down! I replaced the capacitor (470uf/10v) with 470uf/16v…still no change but this time I noticed that the lens reader is trying to focus, I mean moving up and down. But as the lens move up I noticed it is hitting the spindle motor table when trying to focus. Another clue, that the disc table (spindle platter) is not adjusted properly, meaning when I replaced the spindle motor I failed to set the high correctly. 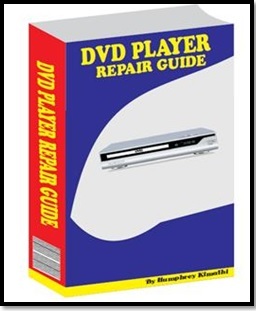 Conclusion; Most of DVD problems are mechanical and very inexpensive to repair and doesn’t require sophisticated machinery to test just observation using the best tools I have come to realize in my troubleshooting experience which are absolutely free, YOUR SET OF EYES.